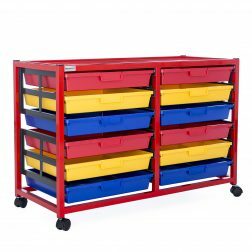 Designed to give children easy access to schoolwork such as books and paperwork, these high-quality classroom trolleys are a simple, robust and effective storage system for schools. 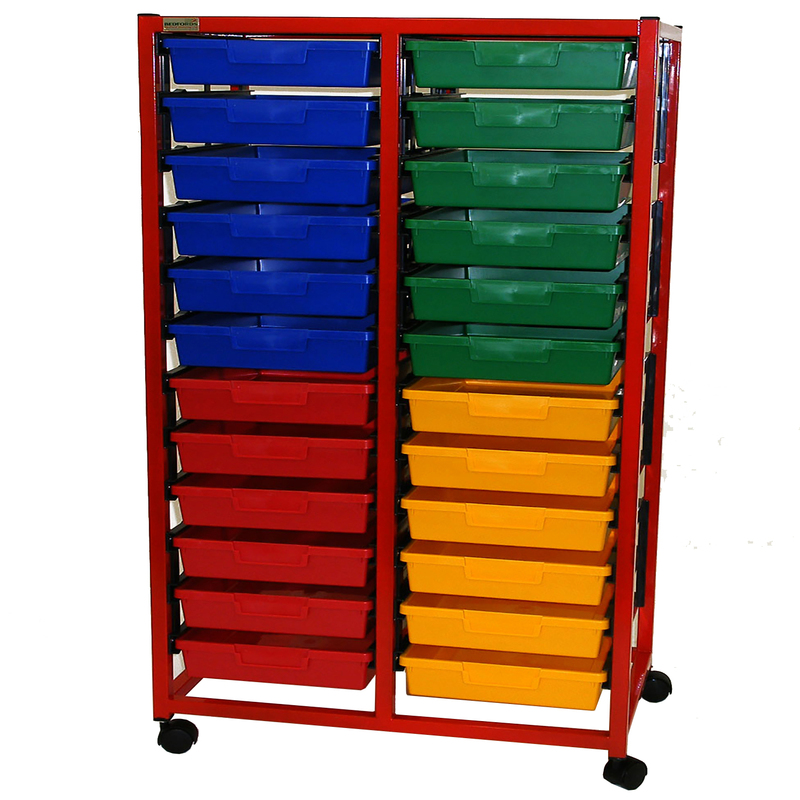 All trolleys in Bedford’s Education range are supplied with a bright red framework and metal worktop. A range of colourful trays, purchased separately to suit individual requirements, are also available. Bedford’s Education range of trolleys is one of the safest, toughest classroom storage solutions in the marketplace and represent great value for money.